Power Muscle Blast Review - (Learn the truth) Does It Really Work? Should you buy Power Muscle Blast? Power Muscle Blast is a dietary supplement designed to help you get bigger and stronger. This supplement promises quick muscle growth as well as an increase in strength and endurance. 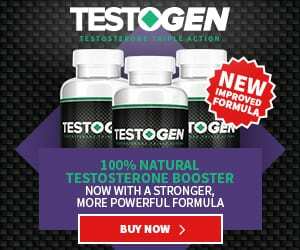 The supplement falls under the category of a legal steroid, and the company claims this supplement is ideal for bodybuilders and athletes. We are slightly concerned that we couldn’t find enough information on the product or the manufacturer. L-arginine is an essential amino acid that helps to increase the blood flow to the muscle tissues. It aids in muscle recovery and growth, and it helps tone the body. L-citrulline acts as a precursor to nitric oxide production. It is responsible for supplying enough oxygen and nutrients to the muscles. This increases functional strength and quickens recovery, which leads to peak performance while working out. Creatine is another active ingredient in this formula. It helps increase energy levels and improve overall physical performance. Maca root is an ingredient that not only impacts the physical performance but also increases mental focus. This supplement has been manufactured with natural ingredients. This lowers the risk of side effects. It can aid in healthy wellbeing and mental focus. The company offers a free trial period, so you don’t have to make the full purchase right away. There is no information about the manufacturer, which may suggest that the company isn’t willing to take responsibility for their product. While there is a free trial offer, it automatically signs the buyer into an auto-shipment program. So, if you fail to cancel the subscription, you will be charged monthly. At two pills a day, it’s relatively easy to take. It seems to contain quality ingredients, and it could be beneficial. However, there are too many uncertainties surrounding this supplement. The lack of transparency from the manufacturer doesn’t inspire much confidence. We cannot suggest purchasing a supplement we cannot trust. There are plenty of better alternatives on the market.